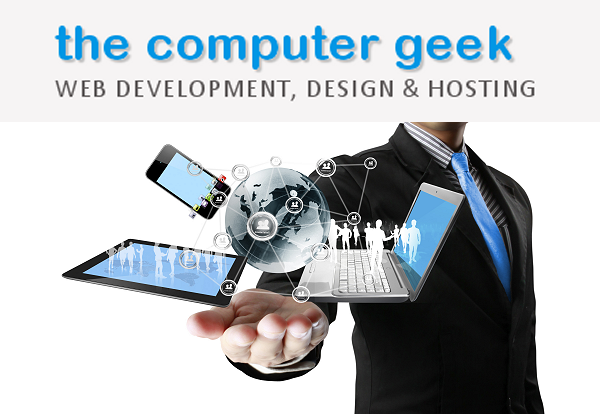 The Computer Geek is a full service web development company comprised of highly skilled and experienced programmers, designers, site security technicians and internet marketing consultants. Whatever your online product, service, or interest, we can help...there isn't anything web-related we can't do! We provide services in custom web design, web development, website maintenance / troubleshooting / repair, and ecommerce applications. We also offer top-of-the-line website hosting (Cloud Servers), Search Engine Optimization & marketing, and specially developed innovative security software to protect your website from hackers. We are known for our stellar customer service with representatives that are approachable and easy to talk to. Computer Geek Custom Website Development and Design Company 5 out of 5 based on 103 user ratings. Professional website development and design services for your business or personal needs at affordable rates!